Bentley’s “mug” shot as I call it. This is him in the shelter. Bentley is the 4th Boxer that Hubby and I have owned. Our first three were retired, champion show dogs from the same breeder/handler. Hubby and I had always considered rescue but had a good relationship with our breeder, and with small children, weren’t sure about getting a dog that might “have issues.” After 12 years of working together, our breeder retired from breeding/showing boxers to focus on smaller dogs. With Nutty and Tottie being older (and growing up with boxers) we knew that when our last boxer died a few years ago, it the time to look into rescuing a dog. It’s hard to tell in the photos but you could see every bone in his body when he arrived at our house. We looked at, and applied for, many different rescue organizations in our search for a boxer that would find his furever home with us. Having a dominant French Bulldog female already at home meant that a few dogs were not the right fit for us. A lot of dogs were already spoken for with foster-to-adopt contracts by the time we applied for them. 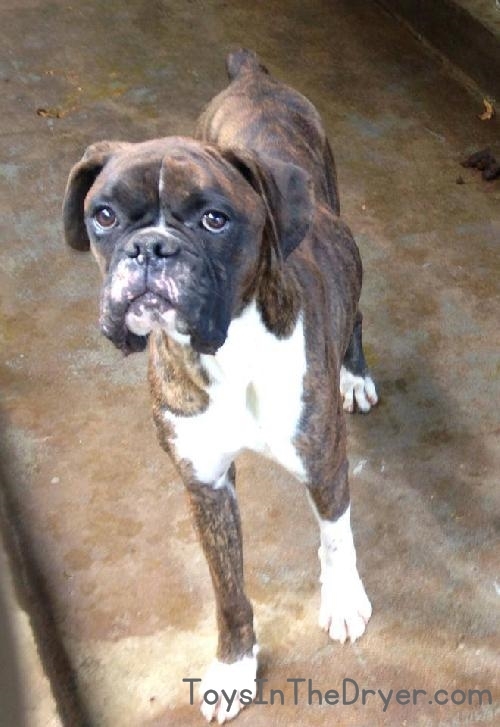 It was a long, heartbreaking, 6 months before the first photo you see above popped up on my computer screen from the Across America Boxer Rescue website. 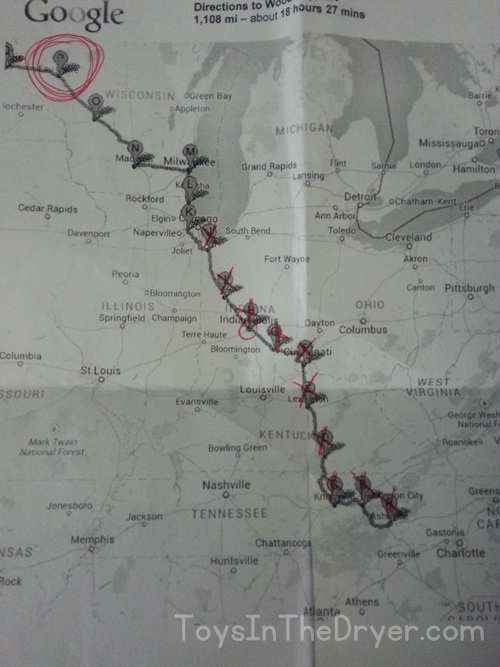 We were emailed at each stop/hand-off during the transport and we tracked his progress to us on a map. Bentley’s story is continued in part 2. Many dogs just like Bentley sit in shelters waiting for foster homes, or better yet, furever homes. Often shelters are over crowded and underfunded. PEDIGREE® understands that. Through the month of October, when a PEDIGREE® product is purchased at Sam’s Club, the PEDIGREE® brand will donate a bowl of food to a dog in need. 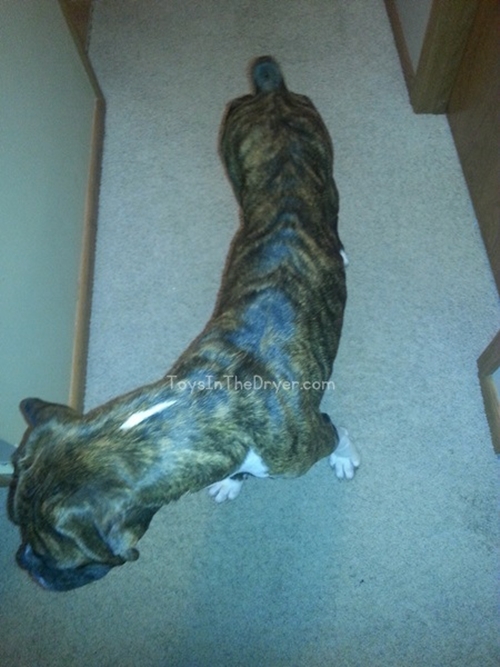 Bentley was malnourished and underweight when he arrived at our house. Good nutrition was vital to his recovery and is vital to many other shelter dogs too. Being a stray caused Bentley to have stomach issues and he is on a special diet. 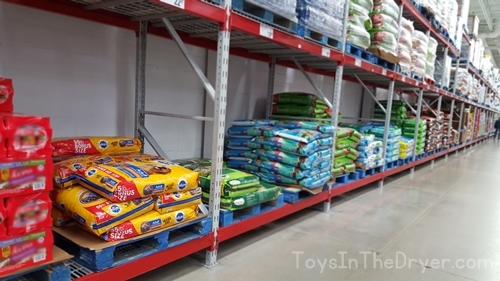 He can’t eat PEDIGREE® dog food but I went ahead and purchased a bag from Sam’s Club anyway. I am donating the bag to one of the Across America Boxer Rescue foster families. 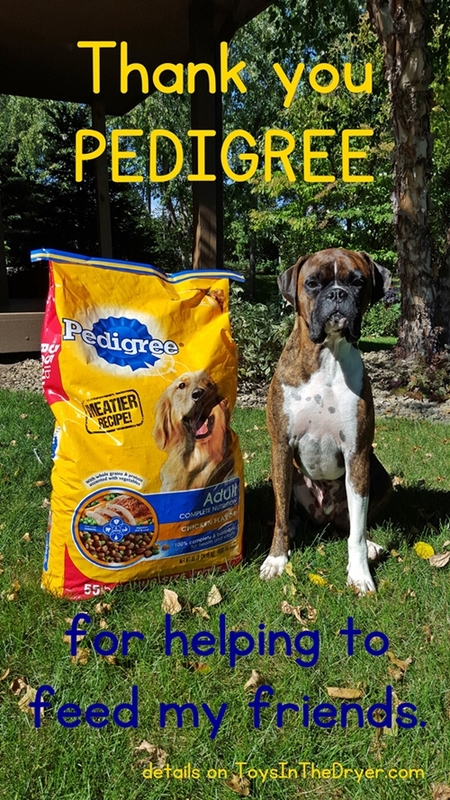 If your dog can’t eat PEDIGREE® food like Bentley, please consider purchasing another PEDIGREE® product from Sam’s Club during October or purchase a bag of food and donate it to a local shelter. Be sure to check out more heartfelt stories at Happy Pet Happy Home. Don’t forget to share your happy pet! Upload a photo of the dog you love to Instagram or Twitter using the hashtag #LaterShelter for a chance to be featured on SamsClub.com. The PEDIGREE® brand will donate a bowl of food for every upload. I love that you rescued him. It sounds like he now has the perfect forever home. Poor Bentley! He’s so lucky to have such a loving forever home. It’s so nice that a rescue will now have a nice big bag of Pedigree to eat. I love that a donation is triggered with each purchase. I’m so excited for you and Bentley too! What a sweet pup. It sounds like he ended up in just the right place. I can’t wait to hear more of his story. Bentley is beautiful! I bet he is sure glad to you have guys as humans … and Pedigree for food!! Adorable pup and I love his name! I love the dog’s name! He’s a very cute puppy. I miss having a dog sometime, but with 3 kids it’d be tough.